1. Children are ready for arts. Now. Children are born receptive, ready to learn. 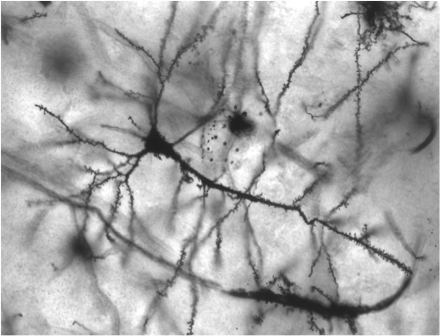 At birth, we have almost all of the 100 billion neurons that make up our brains, and about a quarter of the connections between them – synapses. But almost all of these synapses are formed by the age of around three. Synaptic connections are strengthened or weakened depending on what our brains experience – what we do, think, perceive, hear, smell, see, touch, who we interact with and how, etc. There’s then a process of ‘pruning’, chiefly from age four to sexual maturity in adolescence, when the connections that are used a lot get stronger and those that aren’t wither or divert elsewhere. The brain effectively becomes more efficient at the things it does, and less so at the things it doesn’t. It’s thought that this developing web of different synaptic connections is what makes us uniquely who we are, mentally, in the same way as DNA makes us who we are genetically. So early years experiences are critical for the development of our brains, in a different way from the rest of childhood. These critical experiences include, of course, the arts. 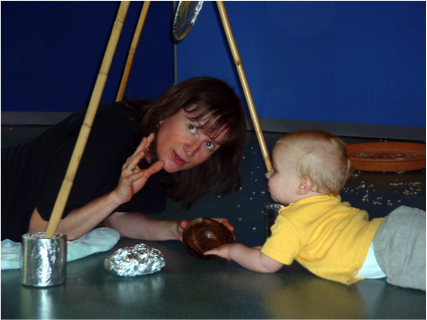 Musical, visual, theatrical, imaginery, interpersonal experiences in our early years will shape our brains. 2. Children need creative arts. Our education systems tend to focus on helping us to understand and operate within the outer world, but not on developing our inner worlds. Experiences in the expressive arts and culture – whether creative, participatory, passive, individual, as a group etc. – these help to develop our inner worlds, perhaps uniquely. If you wonder why education should see these inner worlds as its job, consider how as a society we’d have developed if we couldn’t have ideas, or dreams. Perhaps the importance of these inner worlds is what makes us uniquely human. Arts aren’t just for older people - ‘those who can appreciate it’, some might say, particularly if you think of what the brain is doing and how it’s developing. 3. For children to create tomorrow, we need to nurture their creativity today. Children today are growing up into a world very different to the one that today’s adults grew into: a world of climate change, global over-population, global water, food and fuel shortages; a world with a serious shrinking of traditional employment for low-skilled workers, of a globalised labour market; and a world of 3D printing, ubiquitous computing and nano-technology. It’s a world where, increasingly, people will make jobs, not take jobs, inventing new enterprise rather than having a job for life, a world where creativity, entrepreneurship and collaboration are central and critical attributes for success and survival. We know that children are born incredibly creative but also that creativity is vulnerable if it is not nurtured and kept alive. Researchers in the ’60s in the USA looked at levels of intelligence in divergent thinking, a key part of creativity. They found one group, in a sample of 1500 from a full spectrum of ages, with incredible levels of divergent thinking intelligence: 98% were geniuses. These were 5-year-olds – all 5-year-olds, not the particularly creative ones. But by the time they were 10, the 98% had dropped to 32%, and then, at 15, to 10%. It seems that this is predominantly due to experience and the lack of creativity nurturing. The arts aren’t the only thing that can nurture creativity, of course, but they are one of the key activities that can. Nurturing creativity should be a responsibility we all take seriously. 4. Creative arts make a difference. Creative arts really can and do make a difference in the early years. There’s strong evidence of creative arts activity supporting the development of social and emotional skills, sensory and motor skills and communication skills; of parent-child relationships, of community cohesion, and building positive respectful relationships; of developing linguistic ability, as well as self-expression, self-identify and self-esteem. 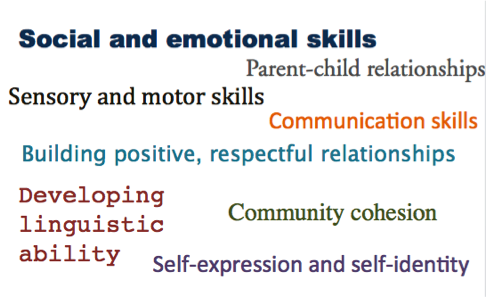 Of course, that doesn’t mean that all early years creative arts activity will automatically achieve all of these things but it does mean that we have the potential to make real differences in people lives, in ways that they really need. 5. Now is a good time to work with young children. With the new Early Years Foundation Stage curriculum, now is a good time for creative arts in the early years, if we can make it so. There’s evidence of how creative arts activity can achieve outcomes towards all of the seven early learning goals (communication and language; physical development; personal, social and emotional development; literacy; mathematics; understanding the world; and expressive arts and design). 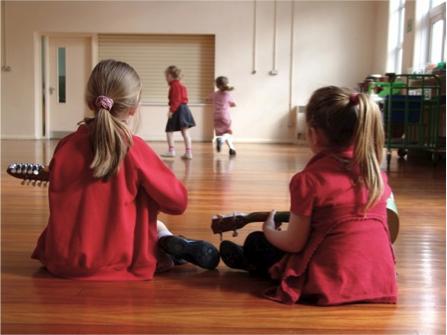 So early years settings have the legitimising platform, now, to fill children’s lives with creative arts, but they will only do it if they know how, are confident, and have the backing of managers and other decision-makers. We can help make those things happen. I’d say that anyone working in creative arts education learning who hasn’t worked in early years is missing out on a lot. Working in the early years isn’t about dumbing down your professional practice, from professional level, to 18-year-old level, to 8-year-old level, to 3-year-old level. It would be so dumbed down, there would be nothing left. Instead, it’s about discovering and nurturing children’s ideas – watching, listening to, observing, thinking about the ideas of these small people, largely untarnished with the big brush of worldliness that we’re caked in. And then reframing your ideas, your professional practice and skills, to feed into what they’re doing. You rediscover your artistic self perhaps. So these are my six reasons why everyone should be interested in working with young children. That’s not to say that everyone can do it – working in the early years can be a specialist activity, just as with any age or demographic. But it is to say that we seem in the UK to separate 0-5 from the rest of childhood, including in the arts, and I think we should stop doing that. How could you develop your work with young children? How could you overcome these barriers? And an enormous range of materials (research, case studies, guides, blogs, etc.) on the Earlyarts website. 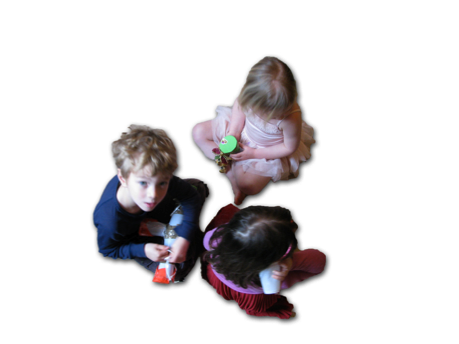 The Early Years Strategic Roundtable is a national group of organisations looking to develop creative arts practice in the lives and experiences of young children. We've published some of our work to date on the Youth Music Network. More to follow soon, including 'Ingredients for Arts in the Early Years' and 'Evidencing the impacts of arts in the Early Years Foundation Stage'.